Dramatized Reading: I'm trying something new here. You can read the blog post, or you can listen to my dramatized audio reading. If you do listen, let me know what you think in the comments below. It should be pretty obvious that I love blogging. I mean really, it’s not a secret – the name of my blog is Become A Blogger. Did that name not give it away? Yes, yes – it’s true. I enjoy podcasting even more than I enjoy blogging, and it’s not just because I’m actually a certified recording engineer (although, I'm sure that does play some part). My friend, in this article, I’m going to share with you Ten Reasons why you should start a podcast. These are the reasons why I love doing it, and I’m pretty sure you’ll understand by the end. Ready? Lets go . . .
For me this really is #1. Here’s a fact, when someone (notice I didn’t say people) listens to your voice for hours every month, they are connecting with you in a way that supersedes anything you get from reading an article here or there or even watching your hilarious youtube video. It’s hard to argue with the fact that podcasting gives you the ability to connect with your audience on a deeper level. If you don’t believe me, just listen to this audio clip that John, from Ask John English left for me a while back. I love the fact that people from all over the world are consuming my content and finding value in it. But PLEASE, do not read my articles or watch any of my videos while driving in your car. However, feel free to listen to my podcast while you are driving, like many others already do. 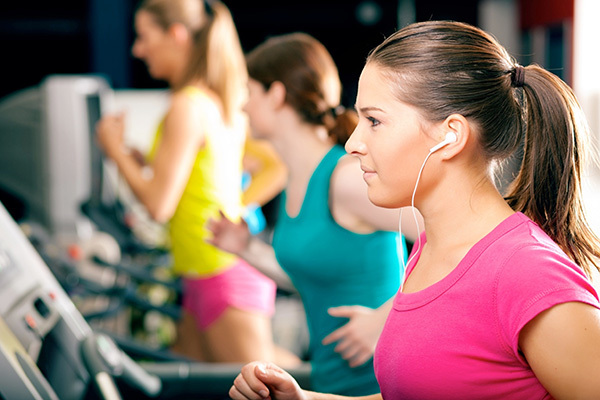 In fact, podcasts are great because busy people (like you and I) can take them almost anywhere and listen while they’re jogging, cleaning the house, working out in the gym, driving in their cars and even hiking in the mountains. Especially now that almost everyone has a smartphone or some other kind of mobile device. That just can’t happen like that with any other medium I know of. My biology blog thrives because of the videos I post there. It’s why I’m able to get as many as 60,000+ people there in one month. However, if my videos get much longer than 5 minutes, my view count goes down significantly, as well as the number of people who actually make it to the end. When it comes to my podcast episodes, I can record a 30 minute podcast episode or even an hour (which I’ve done), and people will actually listen all the way to the end. The net result is that you’re able to share much more value and that is priceless. As a result of my podcast, I’ve been able to connect with so many awesome people. I’ve been able to interview people like Guy Kawasaki (former chief evangelist of Apple and a bunch of other stuff since), Andrew Warner (founder of Mixergy), Tony Stubblebine (CEO and co-founder of Lift – formerly involved with multiple startups, including Twitter). Also, I've connected with many other bloggers who have gone on to become my great friends (and I won’t mention their names individually because the list would go too long). 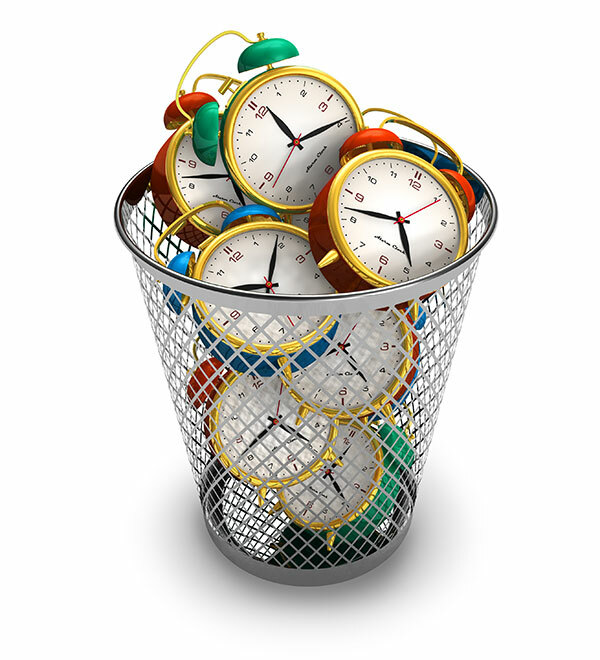 How many people are able to grab experts on a regular basis and steal 30 minutes to an hour of their time free of charge? Well, MANY podcasters are, and you can do it too. One of the natural side effects of creating lots of high value topical content and having public discussions (interviews) with industry leaders and experts is that you also get recognized as an industry leader/expert. As a result of what I’ve done with my podcast, I’ve been invited to speak at events such as New Media Expo, Digital Colab, Social Media Success Summit and others that I’ve had to turn down. I’ve also been interviewed on more podcasts than I can remember. These things have been of tremendous value for my brand and business, and the truth is that I don’t think that it would’ve happened without my podcast. 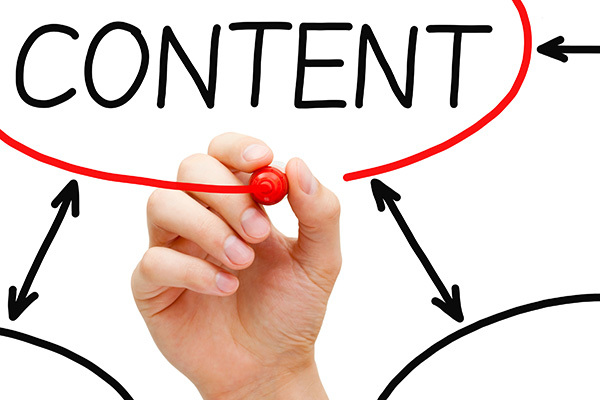 In a world of Google (and even Social Media), content is still king. The more you can repurpose your content, the more value you provide, and the more ways there will be for your content and message to get out there. It’s no secret, I’m on a mission to “change the world one blog at a time”, and podcasting gives me another medium for taking the content that’s on my heart (and already on my blog) and packaging it in a different way for people to consume. Based on the best data I could find, there are over 400 MILLION blogs on the net. 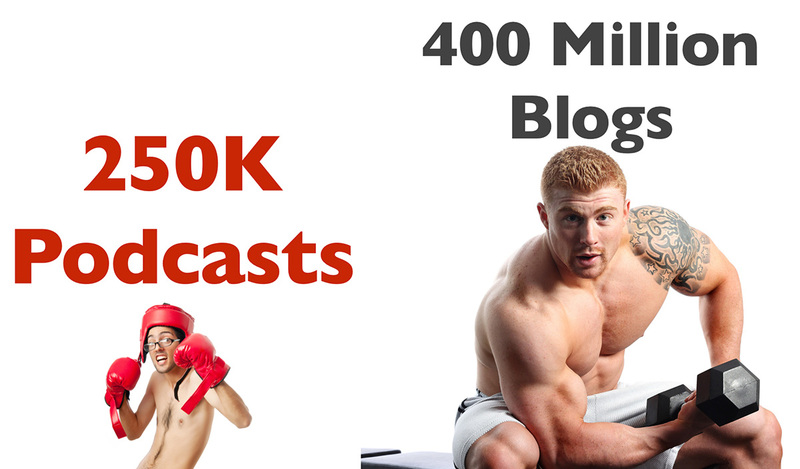 However, there are only around 250,000 podcasts in the iTunes directory. If you had to choose someone to fight, which one of these guys would you choose? Now, I’m not saying that it’s impossible to get exposure for a blog. 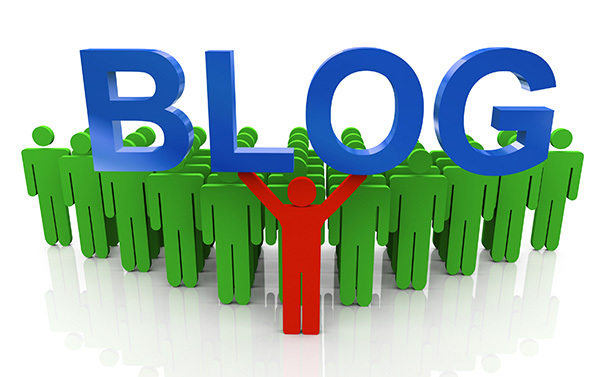 In fact, I think a blog is pretty much essential in 2014 (if you're trying to build an online business). However, podcasting gives you a less competitive space to get the word out there and help you to grow your blog, which is your main platform. 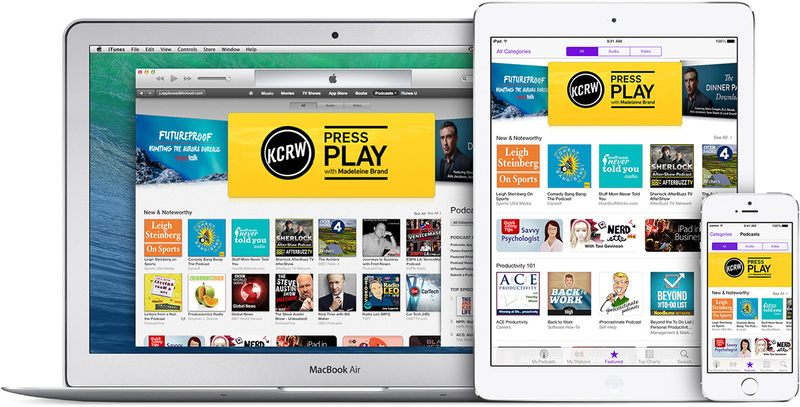 iTunes is a search engine – a pretty good one too. In fact, it has an entire podcast directory where people are actively going and searching for you. Ok, maybe they aren’t necessarily searching for you or even I, but they are searching for things they are interested in. If you’re podcasting regularly about a topic they are interested in, then you are more likely to be found there and that can provide additional exposure for your brand and business. It helps you to get your message out there for more people. 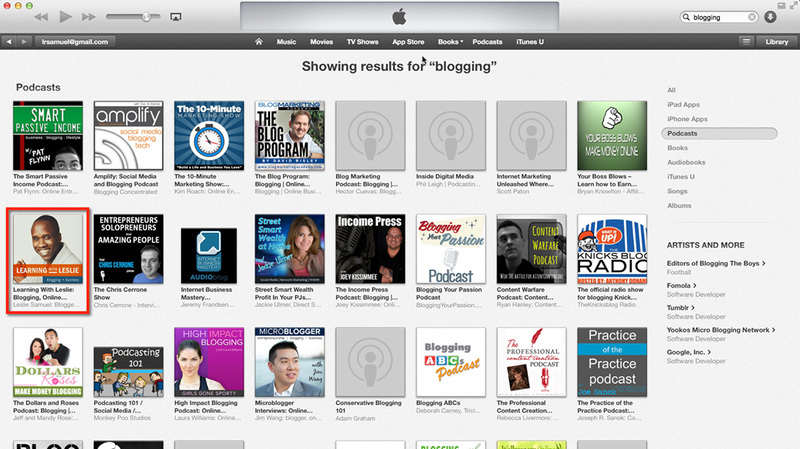 In addition to iTunes, there are other great directories (like Stitcher) for even more exposure. A lot of people think that podcasting is a very expensive venture. The truth is – it doesn’t have to be. All you really need to purchase is a high quality mic like the Audio Technica ATR-2100 USB and you are good to go. At the time that I’m writing this, it’s available for $59.99 on Amazon. To edit your audio, you can use a free open-source program like Audacity (Mac or PC). Don’t let the word free fool you. It’s an extremely powerful piece of software. There’s something about showing up week after week in a public manner that helps you to find your voice and refine your message. If you go back to my first episode, and then compare it to my more recent episodes, you will notice a huge difference in energy and in purpose. My podcast has helped me to refine my purpose and now I’m confident in what I stand for. I can get up in front of any size audience right now without preparation and give a 30 minute talk on a number of topics because of the fact that I’ve done it so many times on my podcast. There are many benefits to podcasting, and I’ve listed a few of them here. If you’re looking for a way to get your message out there and have a positive impact on the world, consider podcasting. I started mine 3.5 years ago and am so glad I did. It has benefited me tremendously and I know that it can do the same for you. Are you a podcaster? If so, share the URL to your podcast in the comments section below along with a description of what you cover in your podcast. 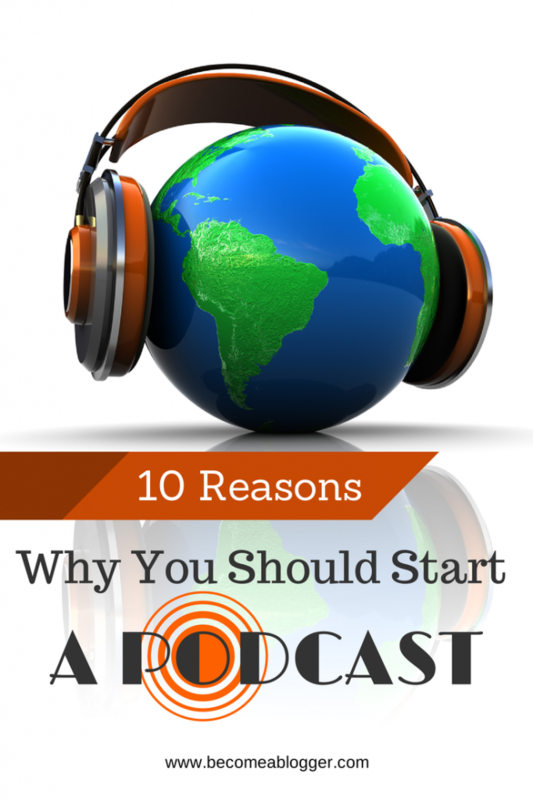 If you aren’t a podcaster, are you considering starting one? I like it and would LOVE it if I could download it and listen while I am at work. If I have to sit in front of the computer to listen – I might as well read it. I like to be able to download things and listen, because I do not read very fast and I don’t have time to read. Very good point Robert. I’ve made the MP3 file downloadable. Thanks for the suggestion. You are very much welcome Jennie. When you launch your podcast, definitely let me know. I LOVE seeing when people take action. I didn’t listen to the whole dramatize reading but I would include it for those that are too busy to read due to work or want to sit back and relax. Thanks for the feedback Cedric. Hi Leslie! I loved your dramatized reading of this post and I try to do something similar on my website. After being a follower of your podcast and also that of Pat Flynn from Smart Passive Income and Cliff Ravenscraft of Podcast Answer Man, I decided to start my own podcast last month in June called The Movie Munch Podcast where I provide tips and resources for movie enthusiasts that are living on a budget. I always look forward to your enthusiasm by listening to your podcast since I’m not really a blog reader. Keep up the good work and thank you for keeping me motivated to keep my podcast going! Hugs! That’s Awesome Teresa. Glad to see you launched your podcast. Btw, I LOVE your voice. It makes me feel so relaxed. I’m typing this while listening to your introduction episode. Awesomeness! So I just finished listening to your entire podcast episode and I have to tell you – you’re like one of my new favorite people in the world. Thank you so much for sharing yourself like that. I was inspired. So much that I left you a review in iTunes. YOU ROCK! I think this is a very smart idea on your part to include the audio reading. I assume that you would then take that audio and publish it in the same place you would publish your podcast, right? So that’s just more content, which is never a bad thing. For me – I would rather read content only because it’s more convenient for me to be able to read it while I’m at work rather than listen. Oh, and to add to that. I wonder if this would be a good way for me to at least start getting some audio content out there on my own posts without having to create additional material. Thanks for the feedback. I’m not sure where or how it would be published. I’m just throwing it out there for right now and will make decisions based on the feedback I get from you guys. You inspire me daily. I was not able to look at the little video. 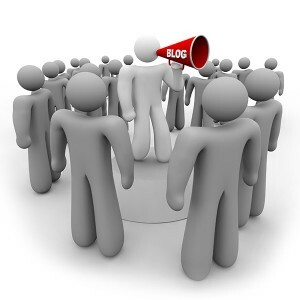 I like how to present your blog–you tell them and then you told them what you have told them. Interesting teaching tool. You see podcasting, like you’ve emphasized reaches more busy people and appeals to the auditory learner. Blogging without/with video appeals to the visual and auditory learner/individual. They are both effective means of marketing your brand, reaching more people, and changing more approaches to living. I am listening to your podcast and your voice reflects your enthusiasm and excitement. It is captivating. Aww, thats awesome Elvetha. Glad to provide inspiration. I’m not sure which video you’re referring to because there isn’t any video in this post. But yes, I do like the format of teaching you described. It’s part of what I teach. Glad you enjoyed the reading. I was referring to the audio. Ohhhh. Uh ohh. That’s not good. Were you having a problem listening to the one right at the top or the one lower down in the post. They were both added in different ways and I’d like to troubleshoot that and figure it out. LOL. Yep – that’s me – the moderately attractive black guy. Maybe that should be my tagline, LOL. Jk. But on a serious note, I’m so glad to hear how much you enjoy the podcast. YOU ROCK! Haha, I love that – a definite maybe. I’m gonna steal that one, lol. Interesting, keep dramatising and lets see if it grows on us with time. This is a great idea. I do prefer to listen to your podcast while having my morning coffee. However, once I start school again I may not have time. Having more choices in content is a great idea. Thanks for the feedback Sara! Great content Leslie! I have been considering starting a podcast for a few months, but the time commitment and cost have always prevented me from getting started. This post helped me to learn more about why a podcast is important and why I should do it now. Thanks for sharing. It’s definitely not as expensive as a lot of people make it out to be. You should definitely give it a try. Hi, Leslie! Definitely do both! In my experience the younger students especially like to listen…in the car…while working….while going to sleep. Although I am not sure that they could sleep through your enthusiasm! Anyway…I am sure it will expand your audience and reach more people than only print. Best wishes! Loved the podcast! I do typically read the posts, however, as you said, in busy times, it’s great to have an audio to listen to while you’re making dinner, driving, etc. I will also consider a podcast for my new blog which I’m just getting started. I thought your ideas were excellent! Congratulations on your move to self-employment! Thanks for the congratulations Rebecca. Postscript: It’s hard for me to write short posts, especially on your blog, because I know you read and respond to comments. Please forgive me. I like the idea of(a new genre I think you’ve discovered which I’ll give a name to and you can run with the name) You are officially a Plogger that does Plogging. For brand new people who aren’t familiar what to do with their phones, you might want to explain in a side box how to listen on your mobile phone. I found it confusing to decide if I should be right clicking or hitting the arrow. 2) During your plog, you don’t have to describe the image( that is a distraction for me) Just tell me at the end of the plog that if I want to see the infographics go to the blog post. I prefer listening to your voice; I love radio. I was able to make up the bed and do a few things while listening. I don’t know why many bloggers gave up “plogging” in the first place. Do you? And you’re right on about connecting on a personal level. We are energy beings and there is nothing more easy to connect with than the human voice. The problem with vlogs (video) is that they pull on more human senses and thus one gets tired fast; the same issue for blog posts which involve the eyes and the imagination. Plogging is a no brainer and I’m giving you a 10 today as one of my favorites. Darn, I should have plogged this response…LOL. Hey Leslie great idea ! I really enjoyed your audio reading of the blog post. It helps me as a listener experience the spirit behind the words. I would love to do a podcast but feel I’m already spread too thin. What to do? Very good point. I hadn’t thought about the fact that it helps the listener experience the spirit behind the words. I like that. In terms of being spread too thin – the answer is simple. Don’t start a podcast. Focus on what you’re already doing. In fact, try to eliminate some things so that you aren’t spreading yourself too thin. That’s essential for growth. Thanks for sharing your podcast. I’ve been considering purchasing a microphone to produce videos and now after listening to this I may consider podcasts as well. I also want to thank you for your valuable information and the way you teach. I teach a beginning blog class and often reference your website during the class and we watch some of your videos together. You’re very clear and easy to understand. Thank you so much for mentioning my blog Janene. I really do appreciate it. If you do launch a podcast, let me know. I love it when people take action. 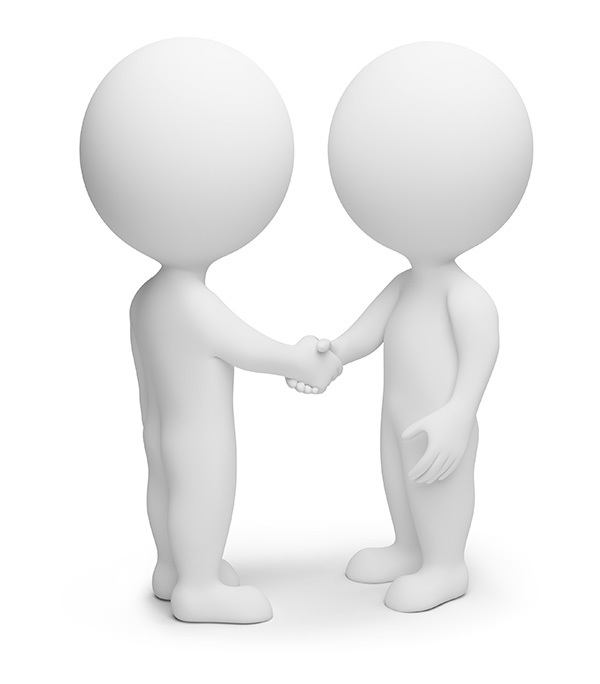 As you put it, social networks can be arranged to provide a natural progression for content. One message can grow in extension and deep while going from tweeting through podcasting, blogging and vlogging. You rock, Leslie. Hi Leslie, I’m one of those odd people who reads (in fact, I just read this text instead of listening). I could download the podcast after midnight, when my satellite provider allows a “free zone” on bandwidth useage. You see, that’s the problem: I can’t watch alot of video or listen to podcasts during the day because of the bandwidth restrictions. All of us are affected to some degree by these types of restrictions. We have an opportunity to let our voices be heard. The FCC (Federal Communications Commission) – up until July 15, 2014 – has opened the door to to public comment on how the U.S. government should treat the Internet and the telecom industry. This is an important chance for all of us to weigh in. The FCC has the authority to re-classify the Internet without congressional approval (and a heavily lobbied legislature). This will give Internet entrepreneurs like us a level playing field. Thanks for the reminder Linda. The net neutrality issues will certainly affect this issue. Pricing could change depending on how you take in information. I’ll be reading more. Thanks for the link. Very important issue. You rock. Thank you for weighing in on that subject. I don’t mind you posting it at all. However, I do wonder if that would affect your bandwidth issues at all. If the internet were reclassified as a telecommunications service and net neutrality were upheld (in my understanding), it wouldn’t cause everyone everywhere to have access to the same levels of bandwidth. What it WOULD do is make it so that the ISPs couldn’t treat internet traffic differently based on whether the service (i.e. netflix) paid them an additional fee for “preferential treatment”. Is that not what this entire argument is about? http://www.fcc.gov/comments. Click on Proceeding 14-28 Click Proceeding 14-28(Protecting and Promoting the Open Internet) and fill out the short form. You’re correct. Reclassifying the Internet as a public utility wouldn’t directly affect bandwidth (that varies by terrain and what’s currently available in your area) but it can lead to improved bandwidth. Reclassifying would prevent censoring – basically what you’re saying about Netflix. Currently, carriers can censor whatever they wish and degrade transmission of one provider’s content over another’s. What the FCC could do is make a carrier provide only one transmission speed through its pipes. The public would have real choices and support ISPs that deliver the best service at the best price. Better still, communities and municipalities could create their own ISP with no speed tiers, no censoring of providers, and no censoring of provider content. The FCC could regulate all aspects of unfair competition and break up monopolies or prohibit the forming of them – like what would occur if Comcast were to merge with Time Warner Cable. We all need to speak up before July 15! A quick click on one or both of the above links will get your voices heard. This was terrific. I really enjoyed listening to this format. The sound quality is amazing. Did you record this podcast using the Audio Technica ATR-2100 USB mic? If not, would you be willing to share the mic that you used? I have content that is ready to launch and would love to incorporate a podcast. My website is called TheCareerDragon.com. I hope to motivate young people to begin taking action toward their dream career and ultimately toward a dream life filled with purpose and contentment. Thank you for your feedback. Actually, the Mic I used here is the Heil PR40. It’s the main mic I use in my studio. But, on Friday I will be doing a full review of the ATR2100 and posting it for you guys to see, so that you can hear how great it sounds. Love the message behind your site. Keep on working at it. Young people need that kind of motivation. Hey, very cool. I actually read this but I do enjoy listening mostly and u think you brought out personality so it worked out well. I like the info graphics and such. I think it’s a cool touch to the blog, or plog, as someone put it. And I have to say, the joke about the being the attractive black guy was too funny. I was laughing so hard I cried. OK so I really liked the audio dramatic reading thing! A lot! Keep it!! And then i bet you can use dictation to type out your blog post now, can’t you! Or did you do it the other way around – write it first and then read. Either way I liked it a lot. Content was great too. But I’m feeling stressed about the idea of podcasting again, so I’m gonna hold off on that – but your points were SUPER valid! But seriously, I haven’t done any crowd funding campaigns personally so I can’t give any specifics. Glad you like the infographics. My VA ROCKS! Hi, One reason that podcasting has become so popular is that it’s automated. Listeners subscribe to your feed. This means they don’t have to remember to return your site to check for new content. Great post Leslie and beautiful infographic. I noticed in your last post an awesome graphic too. Where are you having them done? Are you doing them yourself? I pin them instantly! Nicely done! Thanks for all the great info you share with us! My assistant is the one who does all the graphics. If it looks really good, you know I didn’t make it but she did, lol. Thanks for the reply Leslie! She’s doing a fantastic job!! I love them! Leslie I’m coming at you from Taiwan! Definitely love the advice you offer with your podcast and blog. I am working on my blog right now while listening to the shortened podcast. I plan to start with my own podcast shortly. Keep up the great work. Changing the world one blog at a time. Thank you so much. Glad you enjoyed the content. If you do start a podcast, let me know. Hey Leslie, love this post. I had podcast a while back but I stopped doing it for a while because I wanted to reinvent myself and find my own voice when it comes to blogging and podcasting. I found my voice blogging so now I just have to find one podcasting. Plus I was creating all the content myself and not really wanting to interview people and I found out that it’s very tough to do it on your own. So the next time I start up my podcasting efforts, I’m going to do nothing but interviews. And like one of your points stated, it’s great for repurposing. People don’t really repurpose their content like they should be doing but at least if they start a podcast, they have a chance to get more exposure and use that content in various ways. 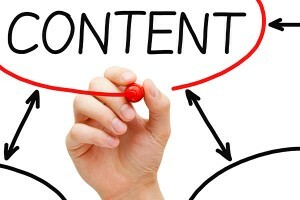 Yep, repurposing content is a great way of getting your message out there. Thanks for your input Andrew. Leslie you are awesome. I love ur podcast – it makes me pick up my writing materials in front of my computer and begin to jot down points. All of the points are always relevant and I ask can a Nigerian make good headway in podcasting?